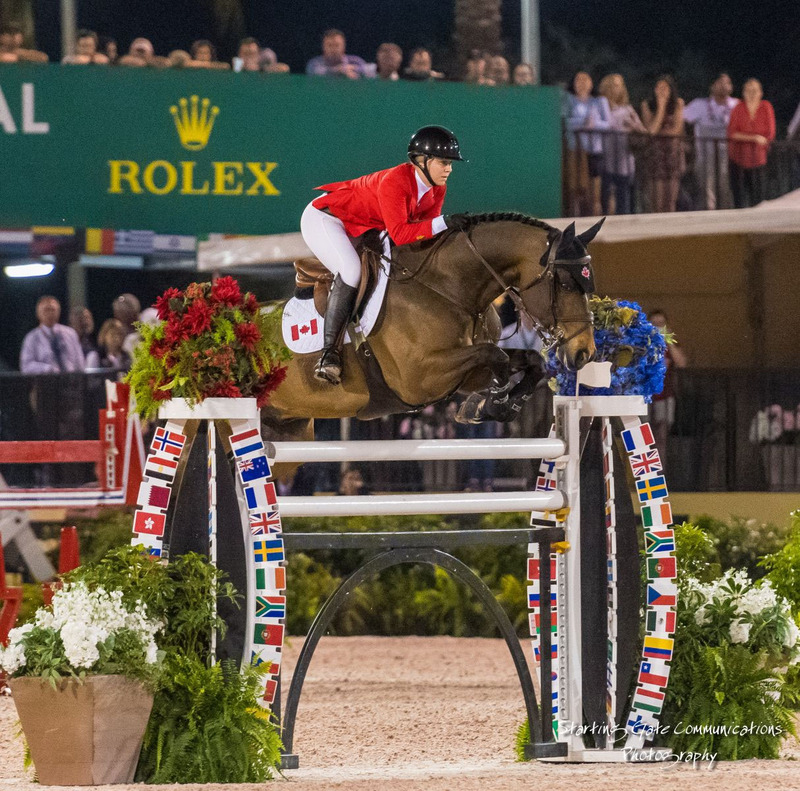 The Canadian Show Jumping Team earned a third-place finish in the $150,000 CSIO 4* Nations Cup held Saturday night, March 2, at the Winter Equestrian Festival in Wellington, FL. Mario Deslauriers of New York, NY, Amy Millar of Perth, ON, Beth Underhill of Schomberg, ON, and Nicole Walker of Aurora, ON, represented Canada in the only Fédération Equestre Internationale (FEI) sanctioned senior team event held during the 12-week Winter Equestrian Festival. A total of nine teams competed for top honours over a track set by 2008 Olympic Games co-course designer, Steve Stephens. At the end of the first round, Canada was in a three-way tie for the lead. Lead-off rider Underhill put a clear round on the scoreboard followed by Walker who did the same. Millar then incurred 12 faults which were dropped when Deslauriers, riding in the anchor position, kept his total to four faults. Ireland and the home nation of the United States also had a total of four faults at the half-way point, setting the stage for a dramatic second round. Underhill, 56, was penalized four faults when her mount, Count Me In, a 12-year-old Hanoverian gelding (Count Grannus x Sherlock Holmes) owned by Sandy Lupton, touched the tape on the water jump the second time out. Beth Underhill of Schomberg, ON, riding Count Me In, owned by Sandy Lupton. In her Nations Cup debut, 25-year-old Walker again jumped clear with Falco van Spieveld, her 14-year-old Belgian Warmblood gelding (Toulon x Lys de Darmen). There were only four double clear rounds in the entire competition with Ireland’s Daniel Coyle, 24, and Lorcan Gallagher, 27, and U.S. rider Wilton Porter, 25, joining Walker in leaving all the rails in place over the two-round competition. “It was a dream come true!” said Walker of her faultless performance. “We put so many hours into our sport, so it is very motivating and rewarding. We’ve been focusing on this the whole circuit and am so happy to pull this off for Canada. Millar, 42, incurred four faults at the water jump in round two but left all the rails in place otherwise. 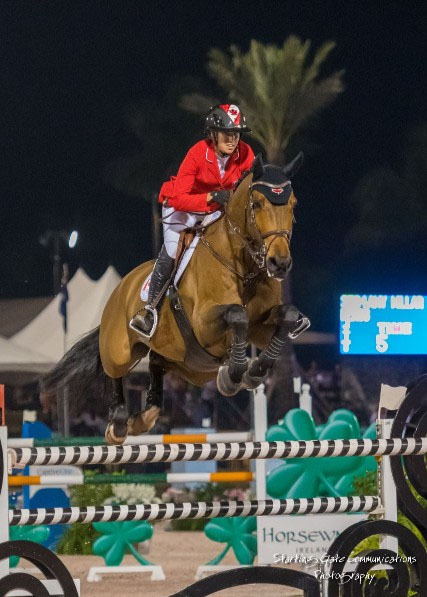 However, an additional time fault for exceeding the 77-second time allowed gave her a second round score of five faults riding her 2016 Rio Olympic partner, Heros, a 12-year-old Belgian Warmblood gelding (Canadian River x Clinton) owned by AMMO Investments. It was up to Deslauriers, 54, to keep Canada in the game - a clear round would have kept it tied with Ireland and the United States. When he pulled a rail at the Rolex oxer followed by four faults at the open water, his eight-fault total riding Amsterdam 27, a nine-year-old Holsteiner gelding (Catoki x Acord II) owned by Luja LLC and Wishing Well Farm LLC, became the drop score. Ireland and the United States remained tied on eight faults, forcing a jump-off to determine the winner. Coyle was selected as the Irish representative but left the door wide open when three rails fell with Farona. 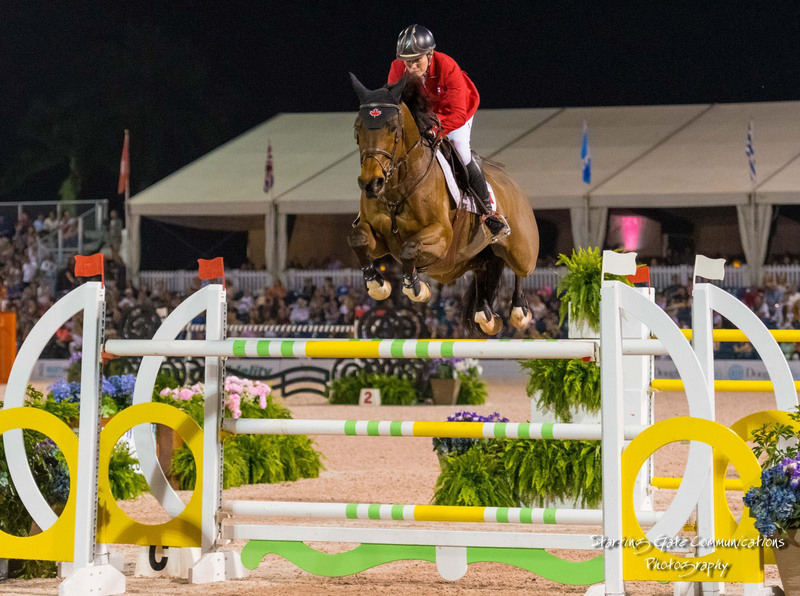 The U.S. selected McLain Ward as its jump-off representative. Cool under pressure, the two-time Olympic team gold medalist delivered a clear round riding Contagious to seal the victory for the home side. The win marked the seventh for the Americans in the event’s 18-year history. It had previously been tied with Canada who has six wins to its credit. 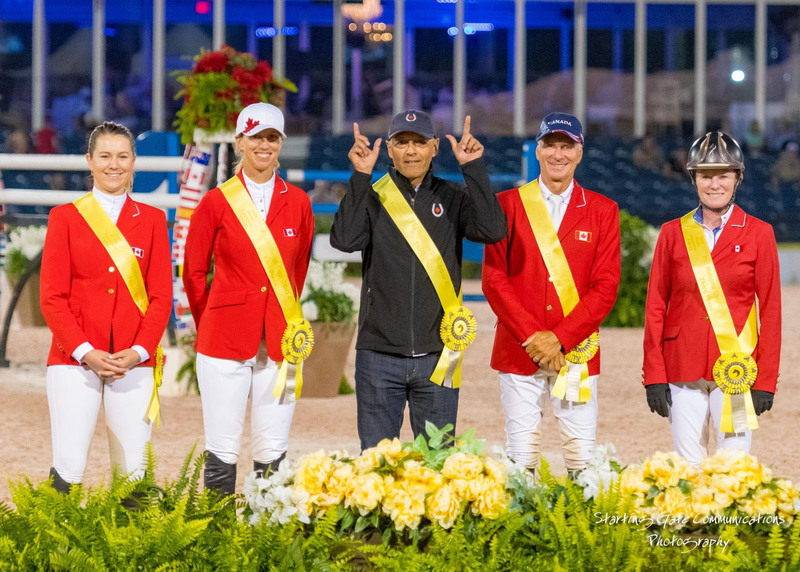 While the United States claimed victory on home soil over the Irish, Canada stood on the podium as the third-placed team with 13 faults. Colombia and Mexico tied for fourth place with 16 faults apiece while Israel was sixth with 32 faults. Argentina, Brazil, and Venezuela failed to make the cut for the second round, for which only the top six teams returned. 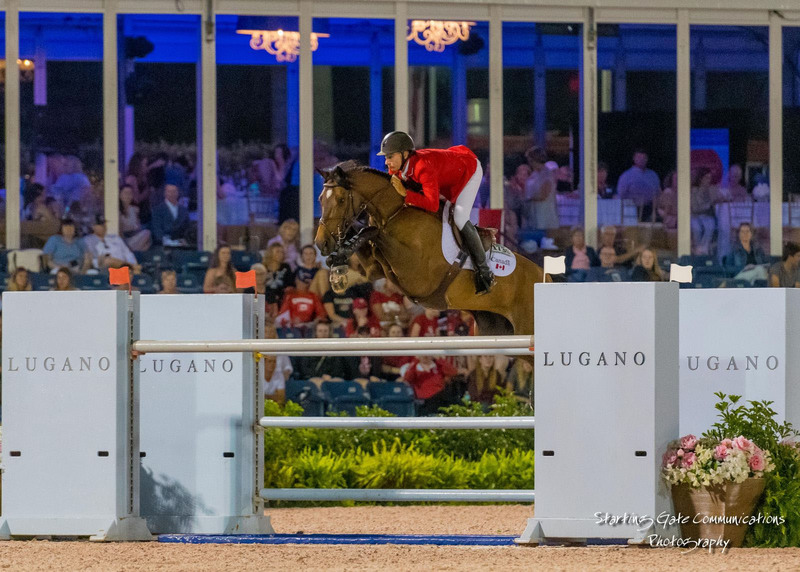 The Canadian Show Jumping Team will next compete in the Longines FEI Jumping Nations Cup™ Mexico, to be held from May 2 to 5, 2019, in Coapexpan, MEX.